An image may be entered into Club Competitions in ONLY ONE of the following forms: colour or monochrome print or Projected Digital Image (PDI). 1. JPEG format, maximum quality. 2. sRGB colour space. Images not in the required colour space may not have your intended appearance. 3. Landscape format images must be a maximum 1920 pixels wide and no more than 1200 pixels high. 4. Portrait format images must be a maximum 1200 pixels high. (Ensuring that the aspect ratio is maintained when resizing should ensure that your images conform to these standards). 5. Smaller images will be projected with a black background. (Example) A COLD WET DAY.jpg. On separate e-mails for each competition being entered, with the email subject being the Competition date, Title and Subject. There will be two groups: GROUP "A" & GROUP "B"
A list indicating which group you will be in, will be compiled by the Digital Secretary each year, approved by the Committee and displayed on the notice board at the AGM ready for the beginning of the new season. The five PDI Competitions will be used to determine into which group members will be placed. At the end of each season members who win an individual projected image competition or who are runners-up, are automatically placed in "A" Group, as is the winner of the Club's Douglas Moss Trophy. All new members will be placed in Group "B" for the first year, unless the committee decides that there is an over-riding reason to be included in Group "A". Every effort will be made to ensure that projected images are of the highest quality and match the image on your home computer. 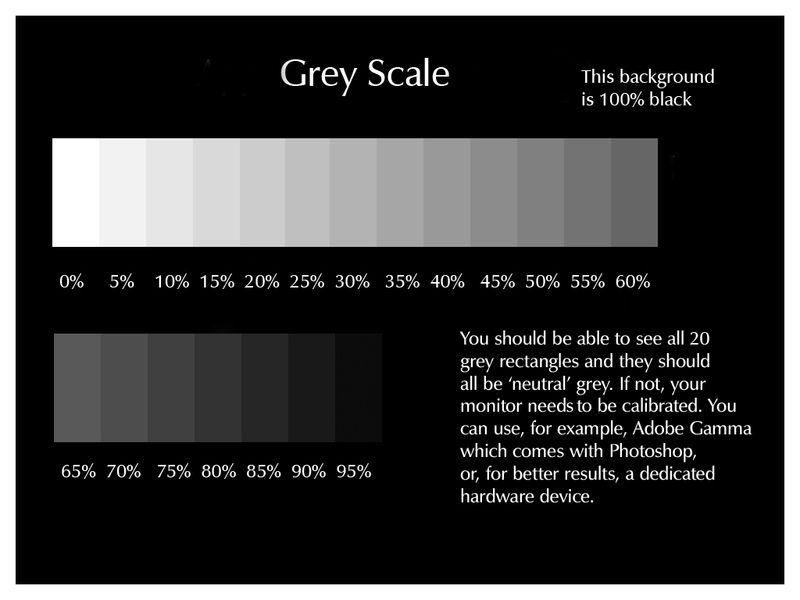 To help ensure that your equipment is correctly calibrated, a greyscale target image is available for download from the KCPA website. In the b/w stepped gradient, you should be able to see all 20 graduated steps and all should be neutral grey. If this is not the case, it is recommended that you profile your· machine with, for example, Adobe Gamma (which comes with Photoshop), or, for better results, with a dedicated hardware device. The club has purchased profiling software that can be used by members to profile their screens and printers. Members wishing to use this should contact the Digital Secretary. Two images per member can be entered in each competition and subjects will be set by the Committee and shown in your programme, together with a hand-in date. NO IMAGE MAY BE ENTERED INTO MORE THAN ONE INTERNAL COMPETITION. Judges will be required to select an outright winner in each competition. Trophies will be held for one year. Open to members of both groups "A" & "B". Each member may enter up to two images of their choice from those they have entered into the current season's internal competitions or that have been used in external competitions. Digital images entered in this competition may NOT be re-worked (i.e. after taking on board any comments or suggestions made in the previous competition judging/assessment). The subject of the competition is "OPEN", members may enter up to two images. The degree of manipulation shall be at the member's discretion BUT all component parts of the resultant image must be derived from images photographed by the member. The insertion of any other artwork (for example from software programs or libraries) is not permitted. This is open to Group "B" members only. Rules as for club projected image competitions (above). The overall winner of both the “set subject & “open” will be awarded the trophy. This award is given to the member with the greatest number of points gained in the five club projected image competitions, using the author's image with the highest score only from each competition. In the event of a tie, the aggregate from all of the tying authors' images will be used to determine the winner. SUBJECT: anything at all to do with the countryside: e.g. natural history, seascape, landscape, agriculture, rural crafts etc. (but - no towns, table top or studio set ups). Members may enter up to two images. All work must have been taken in the British Isles & each image must be titled. The judge will be required to select an outright winner. This competition will be held on the same evening as the Print and Projected Image of the Year. The subject for the competition is "OPEN". Members may enter up to two previously unseen images. The same rules concerning digital manipulation apply as in the other competitions involving digital images. The judge will be required to select an outright winner. The name of the photographer or club must NOT appear anywhere on the prints. Each photographer will be issued with a code for identification purposes. THE PHOTOGRAPHER'S CODE AND A TITLE (or 'no title') must be shown on the back of all prints entered for competitions. No individual print may be entered into more than one internal competition, but may however, be entered again into competitions with other clubs, or as one of your choices for the Print of the Year Competition at the end of the season. Judges will be required to select an outright winner in each competition. Trophies will be held for one year. Prints must be mounted on a rigid piece of mounting board, adding a matte or overlay to frame the print is a choice left to the photographer. Prints merely attached to an overlay or with flimsy paper backings are not acceptable as they are too easily damaged or kinked (with exception to small prints). Own printing is preferred, either digital or darkroom, but trade processing is permitted. If produced digitally the degree of manipulation of the image shall be at the member's discretion, but all component parts of the resultant image must be the photographic work of the member. The insertion of any other artwork (e.g. from software programs or image libraries) is not permitted. Subjects and the number of prints you may enter will be set by the committee and shown in your programme, together with a hand-in date. THE GOSTROW TROPHY will be awarded to the member with the greatest number of points gained, taking their top scoring print from each of the two COLOUR PRINT COMPETITIONS. Both colour print competitions must have been entered to qualify. In the event of a tie, the scores for all prints of the tying authors will be taken into account. For these competitions prints must have been printed by the author, either digitally or darkroom processed, and if the latter, the film development must also be the work of the author. As image manipulation can be carried out in the darkroom, digital manipulation is permitted and the degree of manipulation shall be at the member's discretion, but all component parts of the resultant image must be the photographic work of the member. The insertion of any other artwork (e.g. from software programs or image libraries) is not permitted. Subjects and the number of prints you may enter will be set by the committee and shown in your programme, together with a hand-in date. THE ROY STUBBS TROPHY will be awarded to the member with the greatest number of points gained, taking their top scoring print from each of the two MONOCHROME PRINT COMPETITIONS. Both monochrome print competitions must have been entered to qualify. In the event of a tie, the scores for all prints of the tying authors will be taken into account. Small print entries may be either colour or monochrome. Max. print size: A4, Max. mount size: 50 by 40 centimetres. Subjects and the number of prints you may enter will be set by the committee and shown in your programme, together with a hand-in date. This competition is open to all members. The subject for the competition is "OPEN". Members may enter two prints that may be either monochrome or colour and may be digitally or darkroom produced. PRODUCTION OF THE PRINTS MUST BE THE PHOTOGRAPHER’S OWN WORK, NO TRADE PROCESSING. THE PRINT OF THE YEAR COMPETITION. Each member may enter up to two images of their choice from those they have entered into the current season's internal competitions (including Members Challenge prints) or that have been used in external competitions. Images entered in this competition may NOT be re-worked and re-printed (i.e. after taking on board any comments or suggestions made in the previous competition judging/assessment). A trophy will be awarded to the winner and will be held for one year. The format of this competition involves a set of 4-6 images that form a panel and must be individually mounted (same limitations as to mount size for other print competitions apply). Each year details of the format, themes, subject areas and whether the images are to be prints or projected images will be specified in the programme. When this is a projected image competition photographers must supply individual images and a layout plan specifying the position of each image on the panel. The winner will receive the Members Challenge Trophy. N.B. IN THE EVENT OF A DISPUTE IN ANY COMPETITION, THE CHAIRMAN'S DECISION WILL BE DEEMED TO BE FINAL.